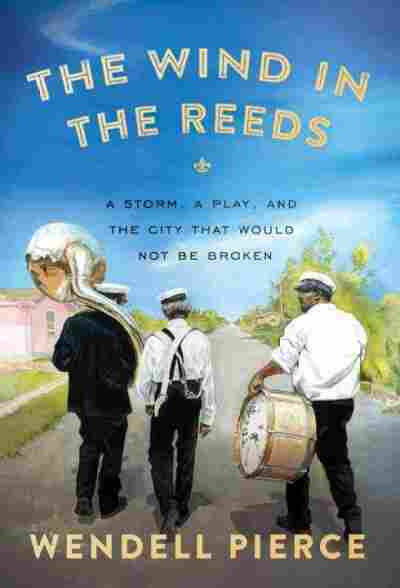 Interview: Wendell Pierce, Actor And Author Of 'The Wind In The Reeds' The star of The Wire and Treme remembers fleeing the storm — and returning to devastation. As his community coped with "post-traumatic stress," he says, Treme "became a group therapy in New Orleans." 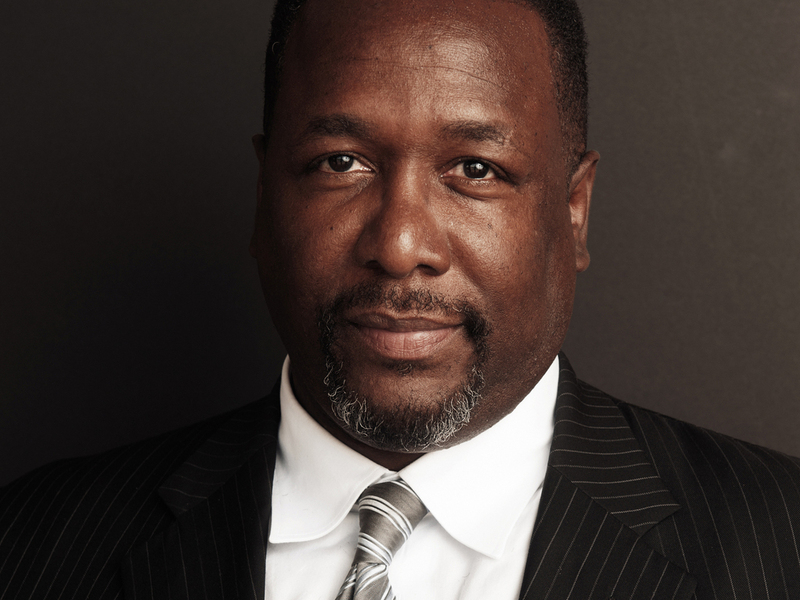 Ten years ago, actor Wendell Pierce went home for a vacation between recording seasons of the hit HBO show The Wire. As he stepped off the plane in New Orleans, the airport was chaotic. A massive hurricane called Katrina was closing in on the city. "That Sunday morning they did, and that's when I knew it was serious." They evacuated that Sunday and rode out the storm about 70 miles west owith Pierce's uncle in St. James, La. "We lost power. We listened to our transistor radios, and the most frightening moment was when that familiar phrase came over the airways: 'This is the emergency broadcast system. This is not a test.' "
Pierce writes about the storm, the floods and the long years of recovery in a new memoir, The Wind in the Reeds. He tells Rath about the beauty of growing up in Pontchartrain, and the vital role theater and television played in a city fighting to recover. Wendell Pierce is known for his roles on HBO's The Wire and Treme. We didn't make it back until ... August 29th, and we weren't able to go home until the first week in October. The water sat for three to four weeks in our neighborhood — it was the deepest part of the flooding, Pontchartrain part — and it was the closest thing to what I imagine nuclear winter would look like: everything was grey, no green, no life, mud caked on everything, ashen cars on top of homes, boats inside of the walls of a building. You had to drive off-road, really, as you avoided debris to go back into the neighborhood. And for my parents, the silence in the car as we drove in further, and further, and further, not seeing anyone, with disbelief — and then when we turned the corner and to come down my street and saw the house, we just all burst into tears. Because we knew that everything that house represented, the 50 years that my parents had lived there — it was like losing a family member, seeing the home destroyed. I thought then that the city of New Orleans would not come back, that it was over. It was an awakening. Waiting for Godot, this existential play about two men in this void with only a tree and a road, with no sense of who they are, where they've been, where they hope to go — a real sense of desperation and loss, awaiting for something to help them, something to guide them, to find who they are. They're waiting for Godot. They don't even know what or who Godot is. And it's in that moment that they come to the realization in this play that the power that they truly have is within themselves. And Vladimir says, "At this place, in this moment of time, all mankind is us. Let us do something while we have the chance." It was one of the most cathartic moments of my life and it reminded me of the power of art. I needed to be home. I watched as my community was going through this post-traumatic stress, and this piece of culture that depicted their story became a group therapy in New Orleans. People around town would gather and I saw the power that a television show — a piece of writing and a piece of acting, and most importantly the music— moved people to bring some sort of clarity to their desperation, some sort of meaning to the disaster, some sort of hope to what they were trying to do and remembering what was important to them and why they were fighting so hard to bring their city back. But more importantly the divine intervention was I got to spend the last four years of my mother's life with her. And for that Treme was more than just a television show, or a great job, or great opportunity to come home or rebuild my city: it gave me the most profoundly beautiful moments of grace to spend the last moments with my mother. It brings me back to a great piece of art. "It was the best of times, it was the worst of times." It's A Tale of Two Cities — because we learned that while we are moving forward and it's progressing and that we have recovered and there's a great resilience, that we still have a lot of work to do. One of the great things my grandparents and grandparents taught me was, there are those who don't have your best interests at heart. We knew that when the flood first happened, when some people said the city shouldn't come back at all. So with that in mind, you have to be vigilant about making sure that everyone who wants to come home can come home. So it was a good thing to stop and reflect on where we were 10 years after the fact. Now it's time to act. "At this place, in this moment of time, all mankind is us. Let us do something while we have the chance."